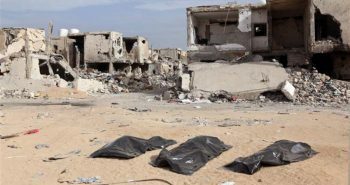 Libya’s international partners should urgently take steps to avoid a major battle and get both sides back to the negotiating table under a new format. A dangerous military confrontation is underway in Libya between east-based forces loyal to Field Marshal Khalifa Haftar and armed groups allied to the UN-backed government in Tripoli. So far, international diplomatic responses have been too timid to prevent an all-out fight for the capital. If unleashed, a full-fledged offensive could become a proxy war between regional powers and cause innumerable casualties as well as immense devastation while prolonging Libya’s post-2011 troubled state. 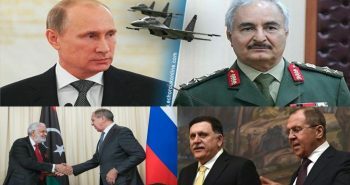 Statements from UN member states, including Haftar’s backers, urging parties to exercise restraint or calling on them to freeze their positions or even withdraw and resume UN-led political talks, are unlikely to be effective unless backed by a credible threat of sanctions and unless regional actors refrain from fuelling the war. 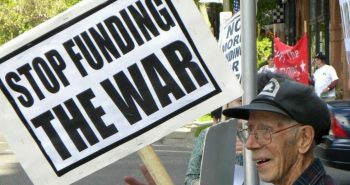 The UN should also encourage the parties to return to the negotiating table by offering a new three-track negotiating format that addresses the warring sides’ core political, military and financial concerns. If outside actors are serious in their calls to stop a full-blown war, now is the time to act. The escalation started on 3 April when Libyan National Army (LNA) forces under Haftar’s command launched a major military offensive, named “Flood of Dignity”, deploying thousands of men and heavy artillery from their rear base in eastern Libya into the west of the country with the stated aim of capturing the capital. 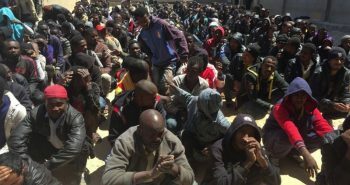 The offensive came despite repeated warnings by Libya’s international partners to desist and in the midst of a visit by UN Secretary-General António Guterres to support a UN-sponsored national conference scheduled for mid-April. 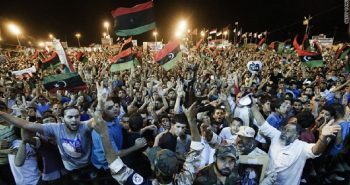 LNA forces began to advance on Tripoli in the apparent belief that their international supporters, which include the United Arab Emirates (UAE), Egypt, Saudi Arabia, France and Russia, would tolerate or support their offensive; in particular, Libyans noted that the LNA began its offensive shortly after Haftar returned from a visit to Riyadh. LNA forces also appeared confident that their advance would not face significant resistance from their Tripoli-based adversaries and enjoyed the support of local residents. 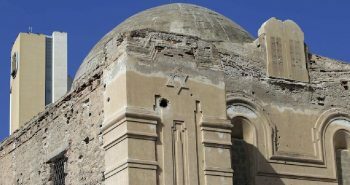 They first took the town of Gharian, 100 km south of Tripoli, and then some smaller towns west of the capital. Currently, fighting is ongoing in and around the non-operational Tripoli International Airport, which they captured on 6 April, as well as in neighbourhoods on the capital’s southern outskirts. On 8 April, Tripoli’s only functioning airport at Mitiga was struck from the air, apparently by the LNA, forcing its evacuation. Over the previous month, Haftar built up his forces in central Libya and reportedly sent weapons to western LNA outposts, but few appeared to believe he would make any moves to defy the U.S., in particular. Washington had cautioned him verbally not to move into western Libya, where the UN-backed government and Misratan forces, U.S. allies in the fight against ISIS in 2015-2016, are based. 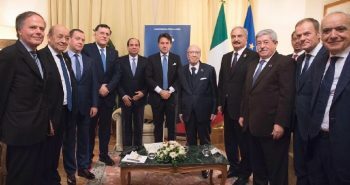 U.S. admonitions were part of a coordinated international effort from late February to persuade Haftar to accept a UN-backed political deal with Faiez Serraj, the head of the Tripoli-based government, to unify the country’s divided institutions, including the military, and place Haftar at the helm of the armed forces. Although some diplomats and officials in the Tripoli government believed a deal was imminent, Haftar never agreed to it, arguing that the presence of militias in Tripoli would prevent its implementation. He is certain that ordinary Libyans, frustrated by the militias’ power in the capital and the lack of security there, support him. The UN-backed government in Tripoli has responded to the LNA offensive by mobilising its allied forces; the decision by leaders in the city of Misrata, which has the most sizable and well-equipped military forces in western Libya, to join the fight suggests that the Tripoli government and its supporters are not about to surrender. 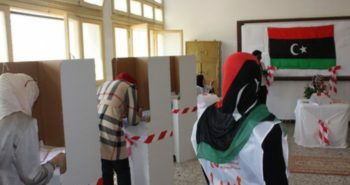 A wide range of armed groups based in western Libya are joining the Tripoli-led counteroffensive, which they see as a way to defend the civilian state against the threat of authoritarianism and to uphold the country’s revolutionary legacy against the return of the Gaddafi-era regime, some of whose leaders have openly supported Haftar. So far, casualties remain limited, but a further deployment of forces and heavy weaponry, an increased use of air power and direct or indirect external military intervention could precipitate a humanitarian disaster. Despite the LNA’s military might and external support, its victory in Tripoli is not a foregone conclusion. The LNA could succeed in taking Tripoli without much of a fight if hostile forces turn sides or flee, as they have done in the centre and south. For now, however, this is an uncertain prospect as the two military coalitions appear equally matched. A more probable outcome is for the current escalation to turn into a protracted battle and possibly a prolonged siege of Tripoli, with a mounting civilian toll. 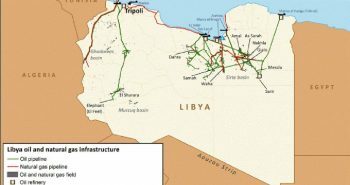 And it could spread to other parts of the country, as Misratan forces have explicitly stated they intend to cut off LNA supply lines in central Libya, and have intimated that they may even go on a more far-reaching counter-attack. 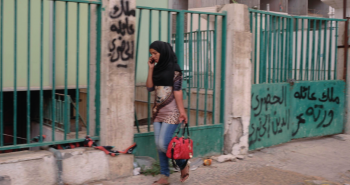 What happens in the fight for Tripoli is now largely dependent on how outside actors respond. 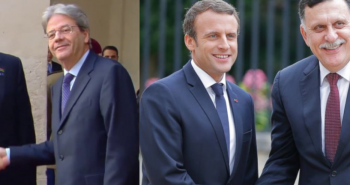 A number of external powers, including the U.S., UK, France, Italy, the UAE, Egypt and Russia, have condemned the escalation, calling on all parties to exercise restraint and either freeze military operations or withdraw to their prior locations. But none of these statements included the threat of sanctions and none made explicit mention of the need to support the UN-backed Government of National Accord in Tripoli. To many Libyans this suggests that foreign governments are tacitly backing Haftar in his ambition to seize the capital and power. 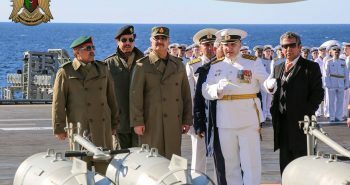 While some of the LNA’s backers, such as the UAE and Egypt, appear to have attempted to rein in Haftar over the past three months, they may leap to his aid if he suffers military setbacks now that his forces stand at the gates of the capital. 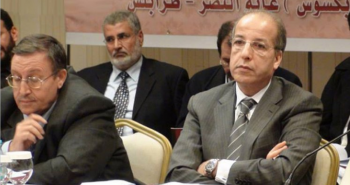 (Even as Egyptian diplomats were counselling restraint, heavy artillery and surface-to-air rockets were reportedly finding their way across the Egyptian border into Libya.) Should that happen, other foreign powers may jump into the fray on behalf of the Tripoli government, including Qatar and Turkey. Meanwhile, Russia blocked a UK-initiated UN Security Council statement condemning Haftar’s military offensive, insisting it call on all sides to exercise restraint. The U.S. should call on Arab capitals to refrain from fuelling the war, and redouble efforts to persuade both sides to accept a previously proposed compromise agreement that would see military command in the hands of a national security council. 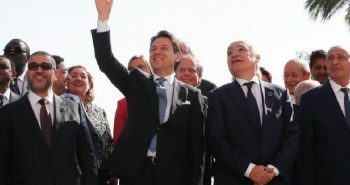 A financial track, bringing together representatives from Libya’s divided Central Bank in order to bridge the rift in the financial institutions that first emerged from the 2014 political government split and only has grown since. 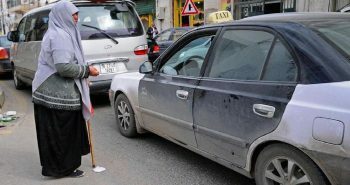 The ensuing banking crisis and financial crunch it provoked for the east-based government, which faces increasing difficulty in processing payments, may well have triggered the LNA’s move on Tripoli at this particular moment. Libya’s transition has been marred by numerous setbacks, infighting and external interference over the past eight years. These have enabled violent non-state actors such as ISIS to gain a foothold. Those who support the LNA’s military offensive in Tripoli today in order to defeat parties they label terrorists are betting on a military solution, which they believe will stabilise the country. 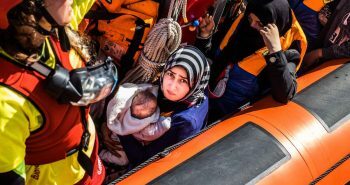 But such an outcome is far from guaranteed, and all should be aware that protracted deadly fighting would have tumultuous repercussions for Libya, its neighbours and Europe, too. The threat of terrorism could become a self-fulfilling prophecy as new jihadist and other radical groups emerge from the chaos and join the fighting.